MATKA Nordic Travel Fair is the biggest travel event in the Northern Europe and it’s held every January. It’s a 4-day event with one day only for the tourism professionals and three days for public. 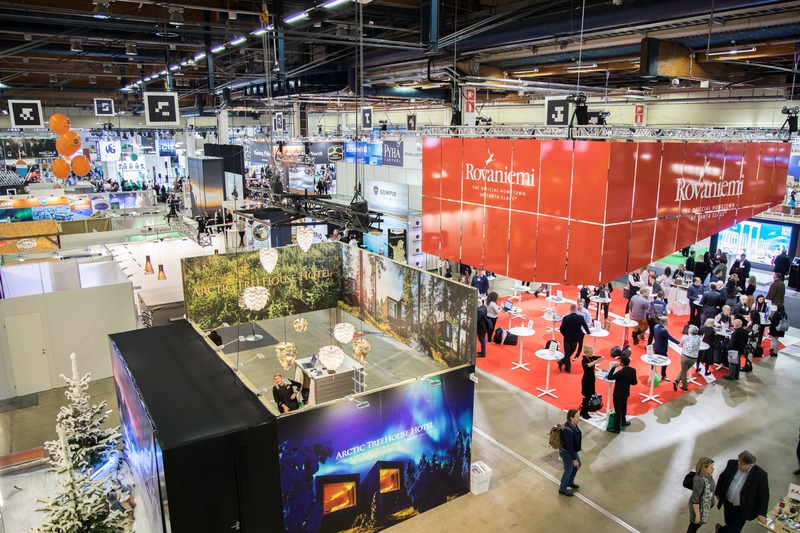 January is the most important sales month for all the tourism companies in Finland and the hype around the travel fair is massive. The travel companies also put out their best deals on January. The travel fair is a great place to dream and get inspired because it gathers all the tourism companies and destinations under one roof. Here’s my take on the MATKA 2019 Travel Fair. The professionals day of the fair is meant for travel professionals to meet each other as well as tourism companies to do business. The public days are more for making sales as well as making people dream about their holidays and plant the seed of a travel bug into them. Good vibes at MATKA Travel Fair! This year sustainable travel is one of the big themes of the travel fair. Sustainability has become the hot topic in the travel industry and all the companies especially in Finland share the cake of responsibility to make sustainable actions. In Finland there has been a lot of buzz around the sustainability after the IPCC’s new report on media and people have become more aware of their actions and the size of their footprint. I also shared my thoughts about sustainability and about the actions that I will do to reduce my carbon footprint. The other theme of this year is hidden treasures. This is such a great theme to my mind because I think hidden gems or in other words traveling to more unknown destinations and finding places off the beaten path is the trend for the next years. There are already rising destinations that are unknown to the crowd like Albania. You can actually slide to the travel fair instead of taking the stairs, just like they did a 100 years ago – how fun! My picks from the travel fair would be the VR zip line experience with Ras Al Khaimah. There you are able to try the longest zip line in the whole world as VR in their booth and it’s a crazy experience. It feels like you’d really be on that zip line and trust me it’s high. Go and check our the model of Finnair’s A350 plane also known as Zorro! In the travel fair they have used the theme of the hidden treasures very cleverly. You can take a treasure map from the entrance and the idea is to find at least five symbols from different booths and when you’ve found them you get a chance to win a trip to Paros island in Greece. What caught my eye is that this year there are a lot of selfie walls around. There are different destinations and costumes that you can try on. Play time haha! What was also nice was that on Korea’s booth you could write your name and they’ll write it with Korean symbols. Pretty cool! There were also some eye-catching destinations for me like Albania and Georgia as something new and different. All in all the travel fair gives also good vibes and inspiration for the next travels. After the fair I always feel like I want to see the whole world. I think inspiration is the most important thing that you get out of an event like this. Looking for a certain destination? Here’s the list of all the countries present at the Travel Fair!